I was inspired to make these cookies from a famous ice cream from Vermont with the same name. The ice cream has vanilla malt ice cream with peanut butter and fudge covered pretzels with a fudge and peanut butter swirl, yum. I've seen other recipes on the internet of recipes for truffles or bars with the name of the ice cream and would have either peanut butter or caramel but never had the malt in it. Malt is used for beer in the brewing process. It is usually made from barley. 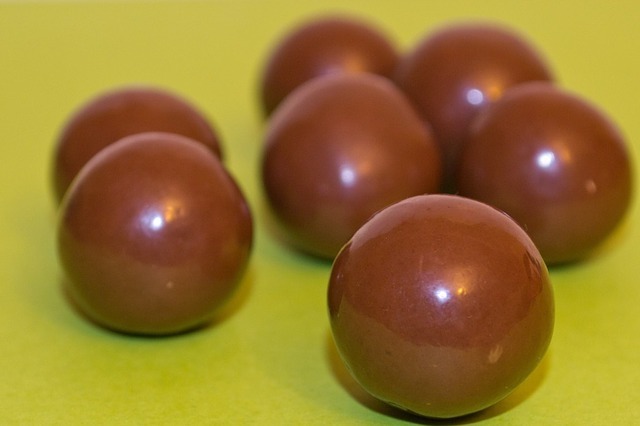 It is a sweet and creamy flavor, you might know it from a candy called Whoppers, chocolate covered malted milk balls. This is malted vanilla cookie with peanut butter chips, milk chocolate chips, crushed pretzels with a peanut butter and chocolate drizzle. The longer you chill the cookie dough the better and keep the cookie dough cold before baking. Room temperature butter and eggs will mix better. For room temperature eggs, take out of the refrigerator for 15 to 20 minutes before using. Crush pretzels in a bag. Do not crush into a fine crumbs, just until broken up. With a hand mixer or stand mixer, cream together softened butter, sugar, brown sugar and malted milk powder until light and fluffy, about 5 minutes. Add baking soda, baking powder, salt and vanilla extract. Mix. Then sift in a cup of flour mix then 1 egg. Repeat again. Add chocolate chips, peanut butter chips, pretzels and the last 1/2 cup flour. Fold in butter sugar mix. Chill dough in refrigerator for 2 to 4 hours. Preheat oven to 350 degrees, line two to three cookie sheets with parchment paper. Using a tablespoon, scoop out about 3 tablespoons of dough. Bump down the temperature to 325 degrees then bake for 11 minutes, rotating half way. Let the cookies cool on a wired rack on the pan for 10 to 15 minutes then gingerly slide the cookies off with the parchment paper let the cookies cool completely. Microwave peanut butter chips, peanut butter and coconut for 1 to 2 minutes in 30 second intervals. Let it cool for a 1 to 2 before drizzling over cookies. Microwave chocolate chip with coconut oil for 2 to 3 minutes in 30 second intervals. Remove cookies from parchment paper and place the cookies on the wired rack. Place parchment paper underneath the racks then drizzle peanut butter over the cookies then the chocolate. Place cookies in the refrigerator for 30 minutes or until peanut butter and chocolate are set. These look delicious. Thank you for sharing. Wow those look mouthwatering! I bet it's hard to eat just one of them at a time. Oh my gosh... These sound absolutely incredible! I can't wait to try these cookies because it has everything I love in it! Not a PB fan but these look very decadent. These look so yummy! Too bad I'm not still in Nawlins because I might have to come steal some, LOL. Well, there went my diet lol. These look amazing! Yum!! These sound and look delicious! So much fun stuff in here! These look so good! I'll have to try to make them! These just look so delicious!! These sound effing AMAZING! But I am vegan and this recipe seems really hard to veganize! Like What would I use instead of malted milk powder? Is there a vegan alternative to that? Do you have any suggestions?? If you come up with a way to make THESE cookies vegan, you'll be my hero, because they look SOOOO GOOD. They look absolutely Devine. Hubby and kids would die for them. I'm gonna try them out and let you know how it went. Oh my goodness ehat a heavenly chocolate creation! I love it!! Yummy, I would fine these when I am on my diet. But it look so good. Those cookies looks so delicious and tasty. I really loved cookies, I will definitely try this recipe. Holy cow these look incredible. I am a sucker for sweet things and now I'm craving cookies, damn it! Oh My Goodness those Chubby Hubbies look divine! I could easily woolf down, I mean eat a half dozen of those babies. I may pay for it later but I wouldn't care while devouring, yum! They have the yummiest look. Seriously craving to munch on them. Ok, these cookies have the best name ever! Plus, they sound sooooo tasty!